Quando c'era da decidere sul trattato di Lisbona, durante la "campagna del NO", non era raro ascoltare nei pub discorsi piu' o meno semialcolizzati del tipo "Che cosa ha fatto l'europa per noi? Eh... eh?". Reg: They've bled us white, the bastards. They've taken everything we had, and not just from us, from our fathers, and from our fathers' fathers. Loretta: And from our fathers' fathers' fathers. Loretta: And from our fathers' fathers' fathers' fathers. Reg: Yeah. All right, Stan. Don't labour the point. And what have they ever given us in return?! Reg: Oh. Yeah, yeah. They did give us that. Uh, that's true. Yeah. Commando #3: And the sanitation. Reg: Yeah. All right. I'll grant you the aqueduct and the sanitation are two things that the Romans have done. Francis: Yeah. Yeah, that's something we'd really miss, Reg, if the Romans left. Huh. Loretta: And it's safe to walk in the streets at night now, Reg. Francis: Yeah, they certainly know how to keep order. Let's face it. They're the only ones who could in a place like this. Commandos: Hehh, heh. Heh heh heh heh heh heh heh. "[...]you have made pretty considerable progress[...] but when we look at the level of talent, scientific and technical talent there is still room to further utilise the IT sector, so my question to you really is: how can we as an IT sector help you broaden the economy as you move out of a crisis and take advantage of that great scientific talent that you have?" Traditionally we have a very strong school of mathematics in Russia and our programmers are one of the best in the world, no doubt about it. No one can contest this, not even our indian colleagues." Il messaggio tra le righe e' che mentre i "russi" sono rinomati per le loro capacita' di sviluppatori software, qualunque idiota puo' costruire computer. Seconda puntata di quella che temo diventera' una rubrichetta fissa a cadenza (ir)regolare. Oggi Repubblica ci propone un articolo nel quale si parla di una lettera che ha fatto il giro del web che un passeggero ha scritto al CEO della Virgin Airlines, Sir Richard Branson, per lamentarsi del pasto che gli e' stato servito a bordo del volo Mumbai-Heathrow. La particolarita' di questa lettera sta sia nel modo ironico in cui e' scritta, sia nel fatto che la lamentela e' poi arrivata alle orecchie del destinatario che si e' poi scusato telefonicamente a nome della compagnia. Ma vediamo... cosa fa il giornalista di Repubblica.it? - Traduce mustard (SENAPE) con MOSTARDA. "CARO signor Branson, la prego di osservare queste foto scattate al pasto che mi è stato servito su un volo della Virgin in rotta da Mumbai a Heathrow. Immagino che nella sua testa stiano ruotando le stesse domande che mi sono fatto io: cos'è? Cosa ho fatto per meritarmi questo? Ma soprattutto, qual è il primo e qual è il dolce?" "Look at this Richard. Just look at it: [see image 1, above]. I imagine the same questions are racing through your brilliant mind as were racing through mine on that fateful day. What is this? Why have I been given it? What have I done to deserve this? And, which one is the starter, which one is the desert?" Alla fine il passeggero ha confessato di non aver mangiato niente e di "essere rimasto deluso come un dodicenne che trova un criceto morto nel suo regalo di Natale". "So lets peel back the tin-foil on the main dish and see what’s on offer. Only you open the present and it’s not in there. It’s your hamster Richard. It’s your hamster in the box and it’s not breathing." "A questo punto ero esausto, volevo solo rilassarmi ma dovevo ancora scoprire l'ennesimo dolce da scena del crimine accompagnato da una cosa bianca. Richard, cos'è quella cosa bianca?" "I was exhausted. All I wanted to do was relax but obviously I had to sit with that mess in front of me for half an hour. My only option was to simply stare at the seat in front and wait for either food, or sleep. Neither came for an incredibly long time. But when it did it surpassed my wildest expectations. Yes! It’s another crime-scene cookie. Only this time you dunk it in the white stuff. Richard…. What is that white stuff?" In memoria dei bei tempi andati quando essere giornalisti significava fare un lavoro serio. Cinquemila da mandare a casa da qui a 18 mesi, di cui millequattrocento da lasciare per strada subito. Una situazione decisamente migliore rispetto ai 15.000 tagli di cui si vociferava qualche settimana fa. A) La costruzione del DataCenter a Dublino per il momento continua. B) In USA sono iniziate le pressioni affinche' i primi a venire fatti fuori siano gli stranieri con visto H1-B (un visto che era pensato per permettere a ricercatori stranieri di lavorare temporaneamente in USA e che e' largamente abusato dalle varie aziende). "It is essential that we go to Europe and say we have a serious problem. We say, either we default or we pull out of Europe..."
"If Ireland continues hurtling down this road, which is close to default, the whole of Europe will be badly affected. The credibility of the euro will be badly affected. Then Spain might default, Italy and Greece..."
Dell: L'irlanda raccoglie i cocci e conta le perdite. c) Per l'irlanda e' finita l'era delle "tute blu" della catena di montaggio e si deve aprire quella dei colletti bianchi, ma le universita' si devono adeguare visto che il numero di laureati comunque non e' sufficiente. The big theme emerging in many reports and commentaries is that the boom in semi-skilled assembly line jobs is well and truly over. There doesn't appear to be any other business likely to come to Ireland and employ 1,000 plus workers on an assembly line. It's cheaper to do it elsewhere, in a low-wage economy, and ship the goods to the geographies that would be served by an Irish base. For suppliers like Dell that need a responsive assembly/manufacturing operation in the EU, the accession of Poland and other east European countries into the EU was a godsend; for Ireland, it has been a disaster. Where Dell is going other hi-tech employers may follow - Intel has a chip plant in Ireland, and HP makes printer cartridges there too. For both of them the annual cost of an Irish worker will be more than the annual cost of a Polish worker. They too will be looking at the numbers and doing a what-if-we-moved-to-Poland spreadsheet calculation. The EU wants a level playing field, and limits what member countries do in the way of bribing businesses to come to them via grants, subsidies and tax concessions. Unfortunately the EU does not enforce such a level playing field in pay, and that means new and low labour cost countries that join, like Poland, enjoy a few years of competitive employment advantage until their labour costs are equalised with the rest of the EU. [...]the total EU demand for Dell computers now only needs one plant, and the one in Poland is it. When Irish workers benefitted from Ireland being a lower-cost place to put plants than the UK or France or Germany, they sipped their Guinness with relish. Now that Poland is doing to Ireland what Ireland did to other western European countries, they are crying into their beer. It's just how it goes. A dawning realisation in Ireland is that it will have to expand university and technical college education. If it's a white collar future and not an assembly-line one, then that means the current generation of semi-skilled workers have had it. There's more of them than the country currently needs and they'll have to do the best they can whilst the country educates their children for the hi-tech R&D jobs. Appurato che ormai i tagli sono inevitabili, domani Michael Dell dovrebbe scoprire le carte rivelando quale sara' la sorte dei "cavalieri del lavoro" in forza agli stabilimenti di Limerick. "The 3,000 employees at the manufacturing facility are to be briefed by company bosses at 9am in the morning. Dell has not officially confirmed that such a meeting will take place but it is understood that details of the meeting were conveyed to staff in an email this Wednesday evening. According to sources at the company its founder and CEO, Michael Dell, will adress the staff via a video link from the United States." (AGI) - L'Aquila, 5 gen. - Mario Magnotta, il bidello piu' famoso d'Italia, reso celebre ovunque dallo scherzo telefonico della 'lavatrice' e' morto nella notte tra il 4 e 5 gennaio all'ospedale San Salvatore de L'Aquila dove era ricoverato a causa di una embolia polmonare molto estesa. Mario Magnotta aveva 66 anni. 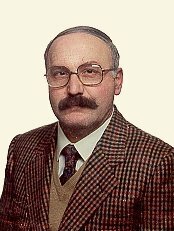 Bidello in pensione era diventato molto noto in tutta Italia grazie al suo carattere burrascoso ma soprattutto per le sue frasi in dialetto aquilano registrate nel 1986 su cassetta durante uno scherzo telefonico (quello della lavatrice appunto) circolato dopo poco tempo in tutta Italia, anche su Internet. Un vero e proprio successo che ha portato l'ex bidello ad essere invitato in diverse trasmissioni radio-televisive nazionali come 'I fatti vostri', 'Piazze d'Italia' e 'Maurizio Costanzo Show'. Numerosi anche i fan club sorti un po' ovunque dopo le serate trascorse in discoteca nelle quali Magnotta veniva invitato. In Poland, we don’t let our children put their feet on the seats. Controllando i referrer e gironzolando un po' mi sono imbattuto in un post intitolato "Hooliganism". In certain areas of cities, there are gangs of children hanging around outside convenience shops in the evening. Their pastime is to harass and annoy the people working in the shop. Does it ever occur to them that these shop workers are people just like themselves, trying to get by, who don’t need a depressing job made worse by this hooliganism? No, it does not. All they are into is themselves. They show exactly the same ability to empathise or look to the future as an animal. And what can the shop security do about this? Nothing. That’s why the kids persist. Their parents don’t care. The children know they can’t be touched. What’s the point in chasing them if you can’t do anything once you catch them? What’s the point in calling the Guards? What are the Guards going to do? There are two factors here. The first is that there is a tremendous abdication of parental responsibility. You only need a license for a dog, not a child, after all. The second is that the Guards’ hands are tied by a judicial revolving door process. If you have twenty previous convictions, what earthly difference will a twenty-first make to you? Per un errore nel firmware (una gestione non corretta degli anni bisestili) gli Zune da 30GB hanno deciso di festeggiare il nuovo anno "morendo". La prima generazione dell' "anti iPod" di Microsoft infatti non riesce a portare a termine il boot rimanendo sullo startup screen a tempo indefinito. Riattaccate lo Zune al PC. Appena le batterie saranno abbastanza cariche lo Zune si riaccendera' da solo. Come si dice... Stay Zuned (har har har). "Al risveglio nel 2009, molti possessori del lettore Microsoft hanno trovato così una sgradevole sorpresa ad accoglierli: sullo schermo dell'apparecchio musicale appariva solo l'icona che contraddistingue il modello Zune e una barra di caricamento. Impossibile, quindi, accendere e utilizzare l'apparecchio. Della musica posseduta non c'era più alcuna traccia"
S'e' bloccato lo Zune, dov'e' la mia musica?!? Nello Zune bloccato? No.... "della musica posseduta non c'e' piu' alcuna traccia". Oddio non si apre la porta di casa, dove sono i miei mobili?!? Dentro casa? No... "dei mobili posseduti non c'e' piu' alcuna traccia..."